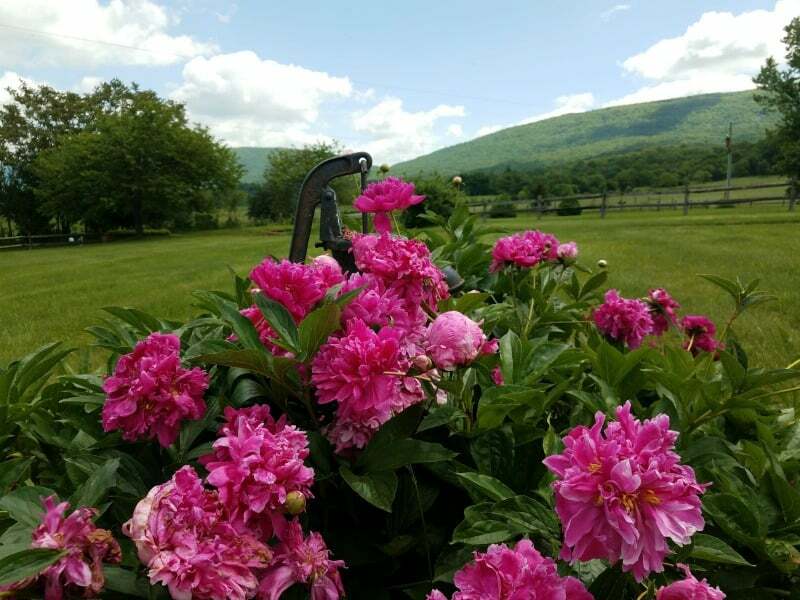 If you don’t have scented flowers in your garden, I encourage you to get inspired by the flowers below and create a small haven for yourself. Fragrant flowers can permeate your entire garden with scent, making it inviting and enjoyable. Related: Summer blooming plants every garden needs to have. The white fragrant flowers of the Frostproof Gardenia are two inches wide of delicious scent. The flowers bloom in the late spring into the summer if the plant is well established. The leaves are a medium texture with a vibrant green narrow leaf. This evergreen shrub is perfect for landscaping. 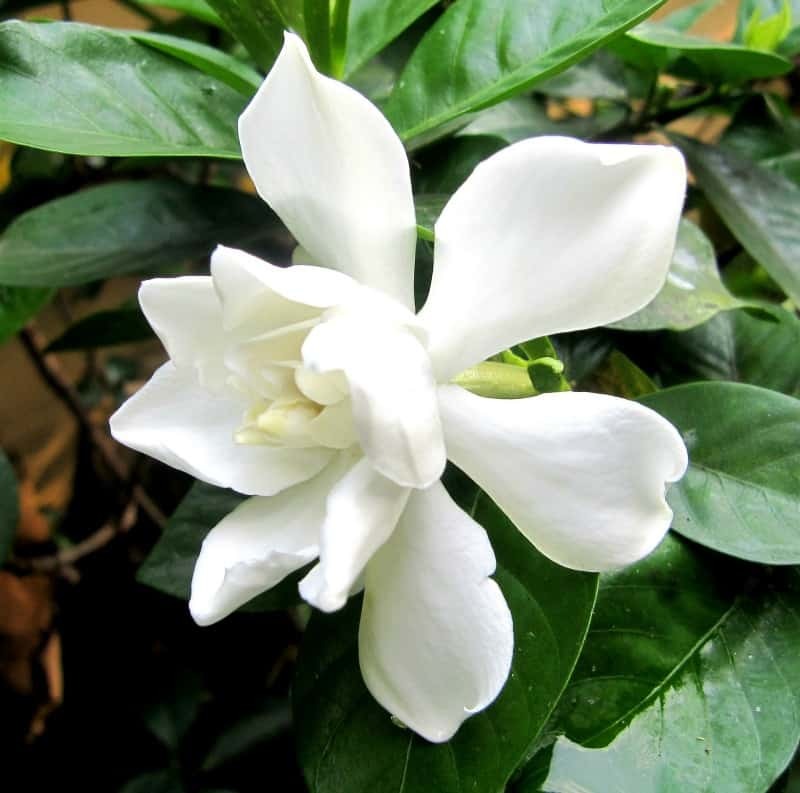 The Frostproof Gardenia, also known as Gardenia jasminoides, will grow in Zones 7, 8, 9, 10 and possibly 6. It can grow to a height of 4 feet and four feet wide and prefers full or part sun. 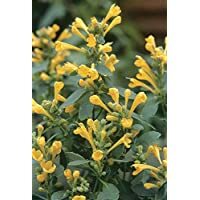 This shrub is perfect for planting by a patio and catching the scent in the breeze. 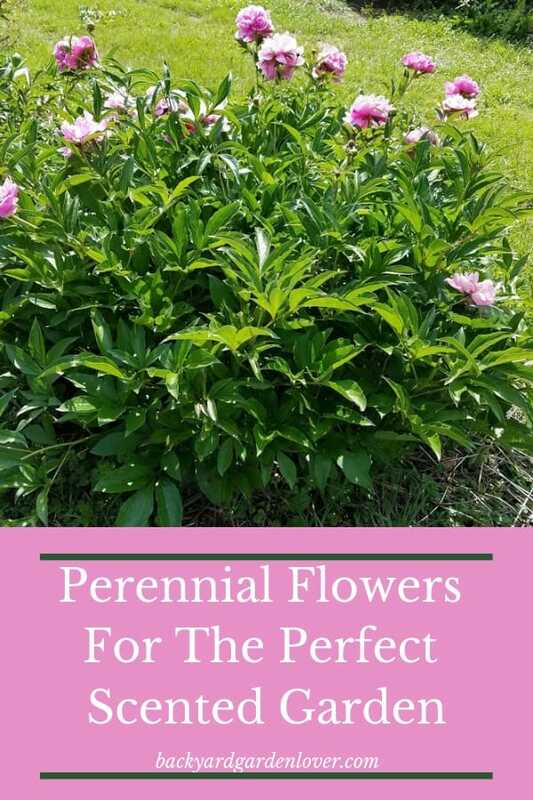 The peony is a perennial with dark glossy green leaves. The massive fragrant blooms may need to be staked to keep the flower heads from drooping. But because the scent of the flowers is so lush the extra work is worth it. The blooms attract hordes of ants. However, these ants aren’t the pests that people seem to think. The ants are merely drinking the nectar and aren’t harming the plant. 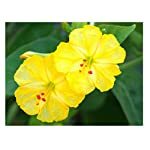 These plants grow best in Zones 7, 8, and 9 with a height of 8-12 inches high and 6-10 inches wide. They prefer morning sun, part shade, light shade, filtered shade, and part shade as they are shade-loving plants too. 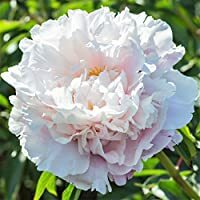 Peonies are an old-fashioned flower which has come back into fashion. They’re perfect for a cottage garden or wildflower garden. 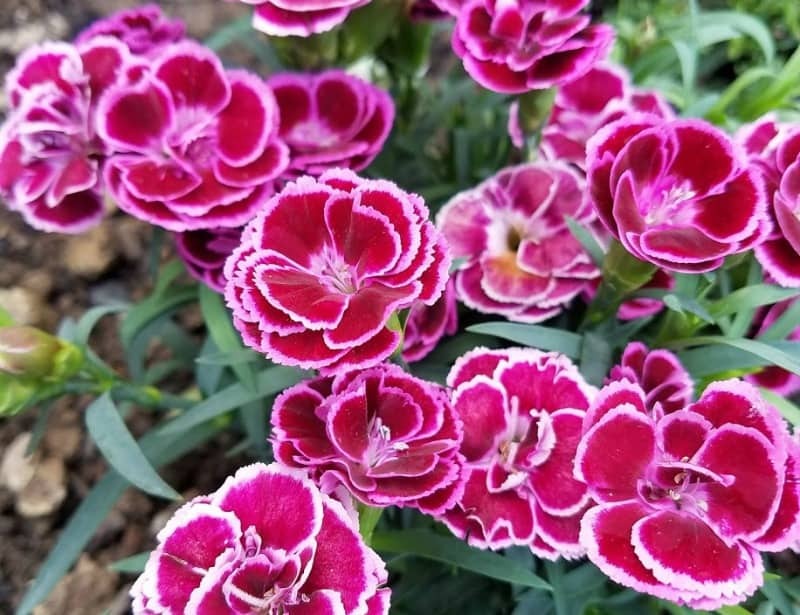 Easy to grow and so beautiful! Mine does really well in partial shade (it came with the house 19 years ago, and it’s still blooming every year, sometimes twice in a year!). Use it to make sachets to tuck in your drawers for freshness, make a dream pillow, or you can even make tea. The smell of this vine is divine!!! It can be invasive in certain parts of the country, so make sure to check before you plant it in your yard. 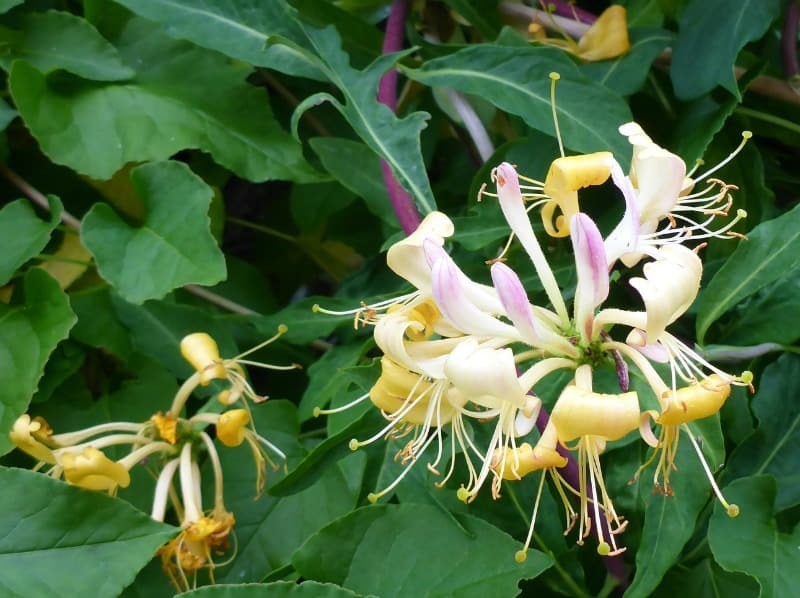 Learn more about growing honeysuckle vines here. This fragrant plant has tubular flowers which grow in spikes. The flowers are produced in the summer into the fall months. Agastache flowers sway in the breeze above the scented foliage. 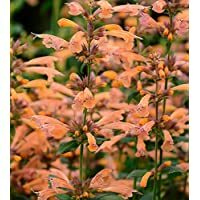 This plant is a beautiful selection for butterfly and hummingbird gardens. Pollinators which can reach the nectar in the tubular shaped flowers will be attracted. 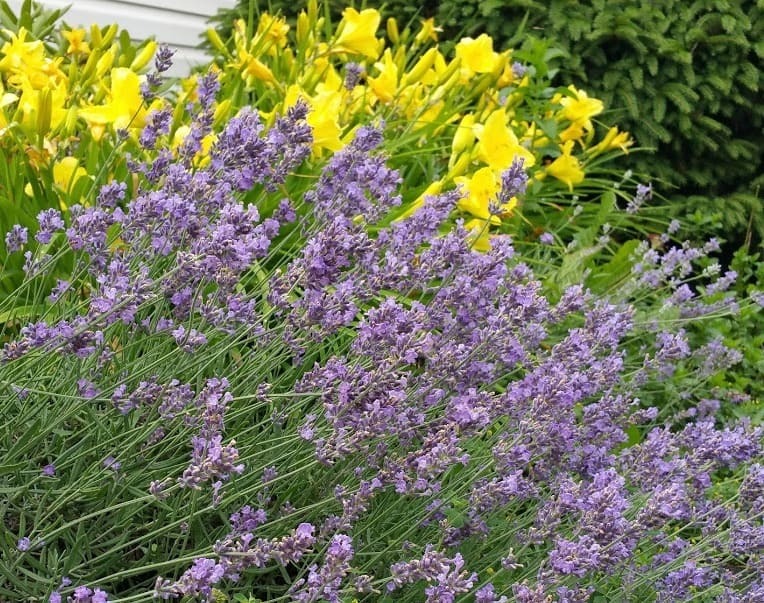 For the most impact, plant these fragrant perennial flowers in masses. These plants love full sun to partial sun locations. The soil needs to become slightly dry before watering. Well-drained soil and good air circulation will help with growth and longevity. 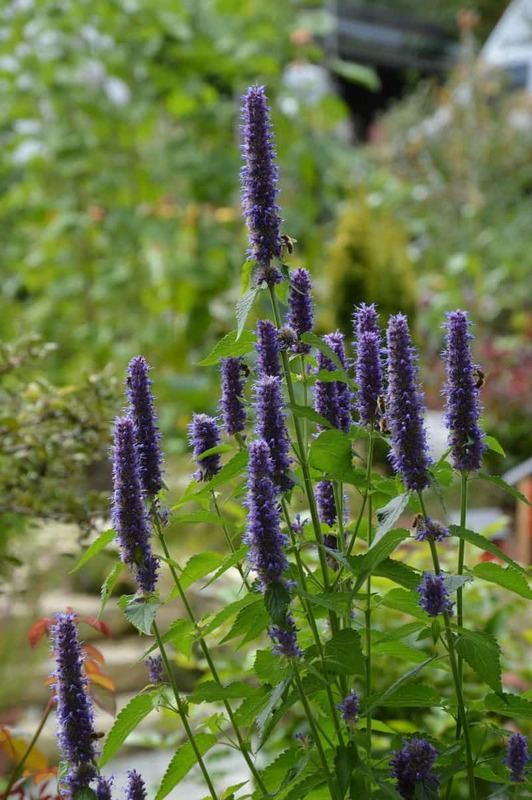 Agastache can be grown in Zones 6, 7, 8, 9, and 10. The soil can range from mildly acidic, to neutral to mildly alkaline. The plant grows to 3-4 feet in height and 2-3 feet in width. 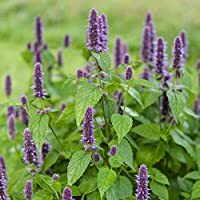 This plant excels in a butterfly and hummingbird garden plus its deer resistant as well. 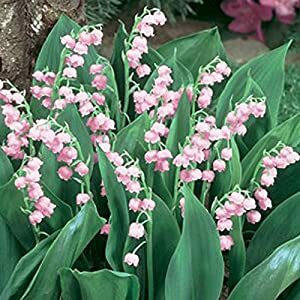 New Rare ‘Feng Die’ Pink Lily of the valley Convallaria majalis Perennial Flower Seeds One of my favorite spring flowers! Beautiful, dainty white (or pale pink) bell shaped flowers with a heavenly smell! They thrive in the shade (prefect for planting under your tees). 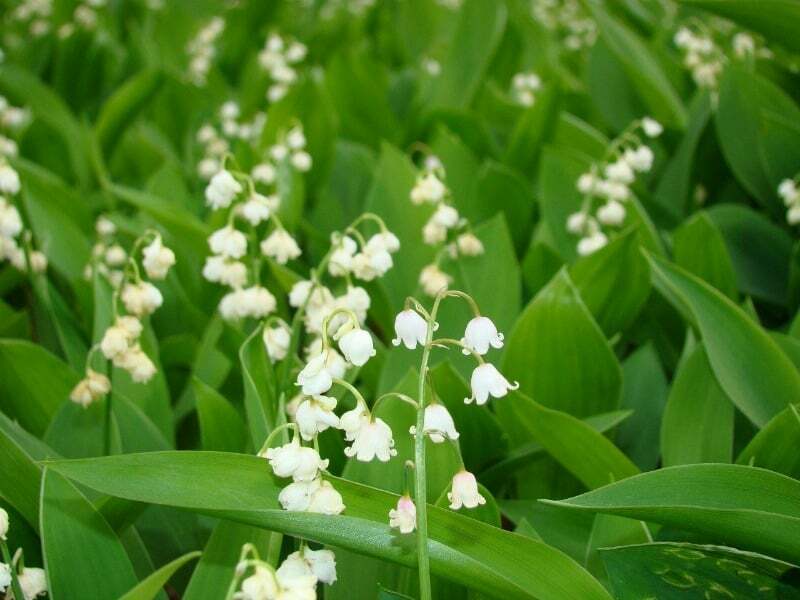 We used to live in Massachusetts and had a forest carpeted with lily of the valley flowers. I’ll never forget the feeling I had walking in that forest! It was like a fairy land, filled with delicious aroma. This too can be invasive: check to make sure before planting. Bee balm attracts bees, butterflies, hummingbirds and hummingbird moths. The flower of the bee balm is daisy shaped and with tubular petals that come in different of color shades, including pink, purple, red and white. 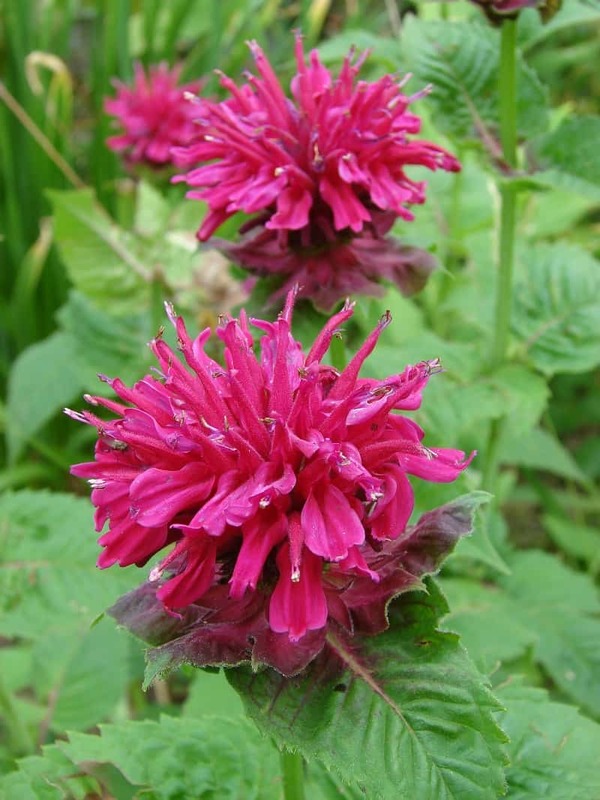 Bee balm will tolerate some shade but prefers a sunny location with moist, fertile soil. This plant will grow to 2 ½ to 4 feet tall, but some varieties will grow to only ten inches high. The dwarf varieties are perfect of container gardening or along the front of a garden bed. For continuous flower production, deadhead. If you plant bee balm near a window, you can enjoy watching the bees, hummingbirds, butterflies and hummingbird moths it attracts. Bee balm can add a touch of old-fashioned beauty. One of the fragrant flowering shrubs that can be planted in your garden is the Buttonbush. The tight flowers are shaped in ball-like clusters. White to cream color the lightly honey-scented flowers attract pollinators. Bees, butterflies and other nectar-loving insects will flock to this scented shrub. This shrub grows in Zones 5, 6, 7, 8, 9, 10 to a height of 6-12 feet high and 4-8 feet wide. 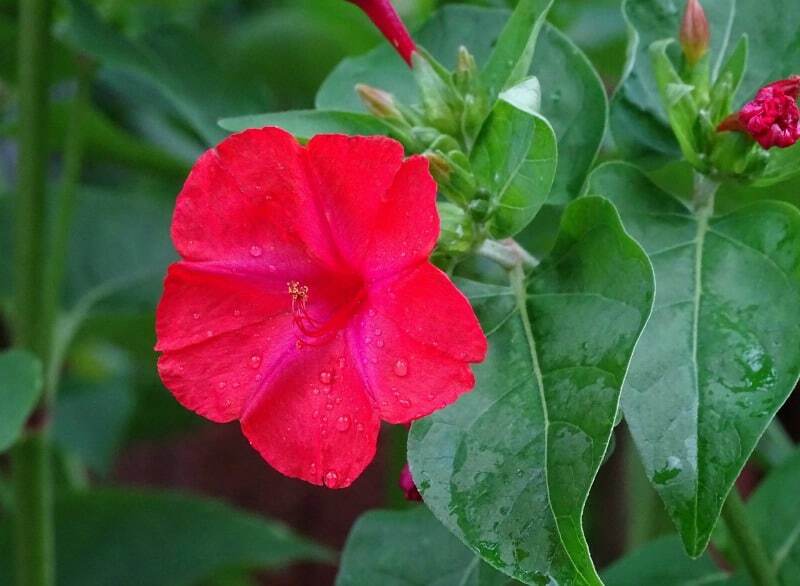 It enjoys part sun, part shade, and full sun in moist soil. Pruning moderately to severe in the late winter of established plants promotes more flowers and fuller plants. This plant is a perfect specimen for butterfly and pollinator gardens. 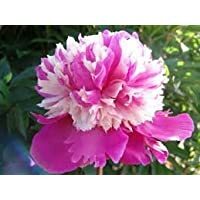 This fragrant perennial flower is a robust cluster of flowers on a single stem, available in many different colors: purple, pink, yellow, red and more. They open later in the day and will attract bees, hummingbird moths and butterflies. These deliciously smelling flowers will also attract and kill Japanese beetles. The Four O’clock grows a large tuber which it springs from each year. It may also reseed itself if the conditions are right. The Four O’clock will continue to flower throughout the summer, releasing its perfume into the air. It will grow in Zones, 7B, 8, 9 10, 11. The height if the plant is between 24-40 inches tall and between 24-36 inches in width. It prefers full to part sun. 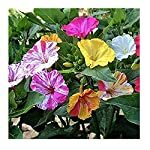 This is a perfect flower to use in a butterfly or cottage garden to give your garden a turn of the century feel. No fragrant garden would be complete without roses. Most gardeners agree that the old-fashioned roses have a deeper scent than the new hybrid. 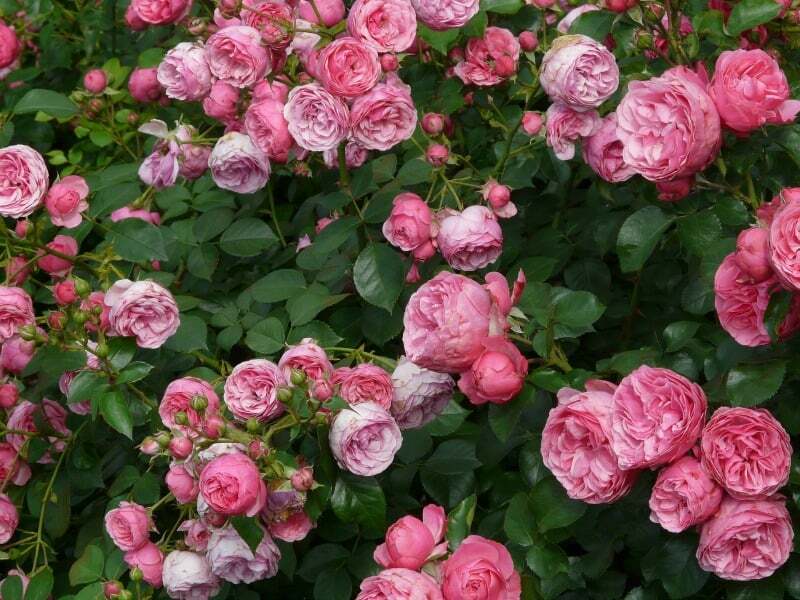 Plus, the older type of roses has more interesting blooms, are more resistant to disease and easier to care for. The upside of the hybrid roses is that they can offer more. Plus, they bloom all season and have a more extensive range of colors. If you’re searching for a heavily perfumed rose, then old fashioned roses are the best. The only problem with these roses is that they usually have a flush of blooms for about three weeks. Roses need about 6 to 8 hours of direct sunlight. They need fertile, moist soil and excellent drainage with a pH of between 6.5 and 7. But if you want fragrance, then old fashioned roses are the ones you need to plant. Take a look at these gorgeous pictures of rose gardens. 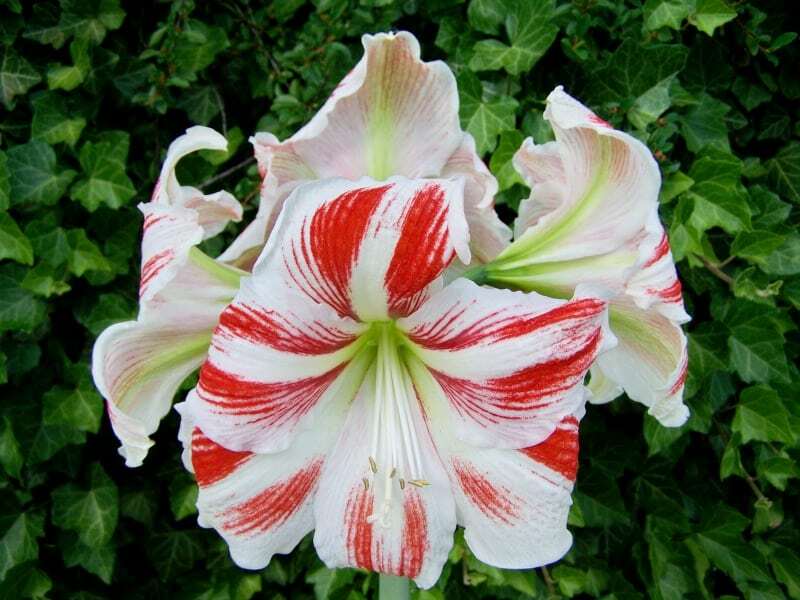 One type of Amaryllis is the Blossfeld’s Amaryllis. The flowers are trumpet-shaped, soft orange with a lemony yellow throat. They grow in clusters on top of a thick, sturdy stem. The foliage is blueish green and strap-like. 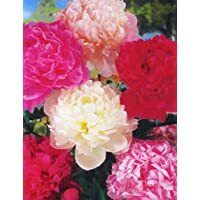 They are very fragrant and are a part shade loving flower, as well as part and full sun. Amaryllis grow in Zones 8, 9. 10. 11 and to the height of 1-2 feet high and 1.2 feet wide. 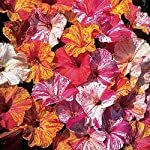 They multiply quickly and can be used in the garden or in a container. 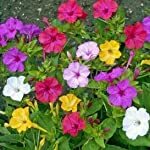 They like average, moist soil that is well drained. The Amaryllis can give your garden a tropical feel. Plus, they are deer resistant, a definite plus! 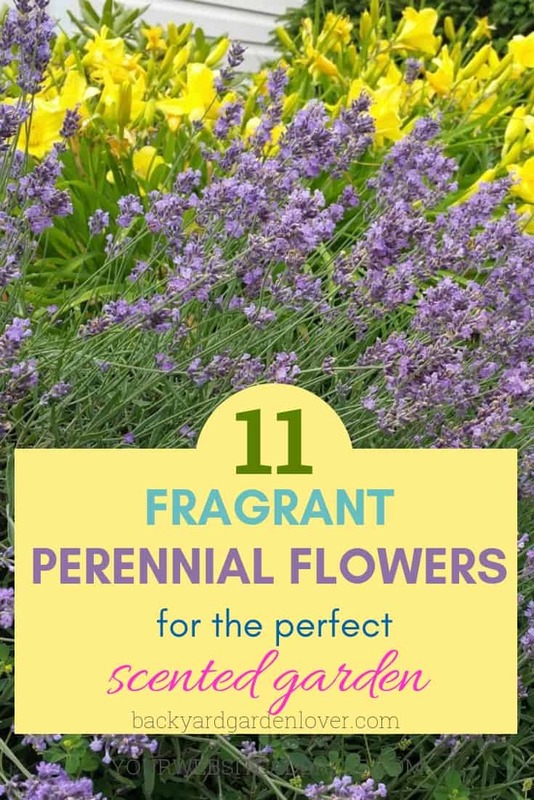 Any of these fragrant perennial flowers can give you a scented garden to enjoy. A garden is more than just a vision of color or rustling in the wind. When scent is added, it brings in a whole new dimension.